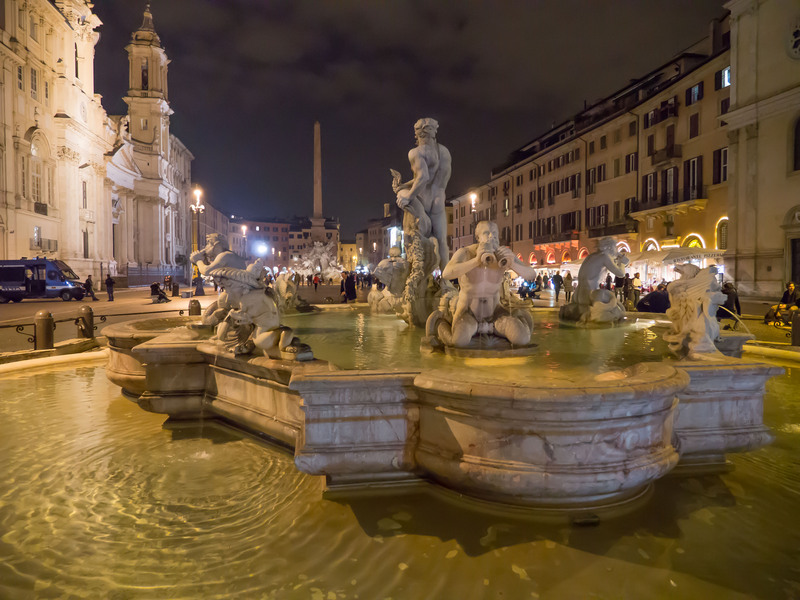 No trip to Rome is complete without a visit to the Piazza Navona, one of the largest public spaces in Rome and a favorite gathering-place for visitors and local Romans alike. 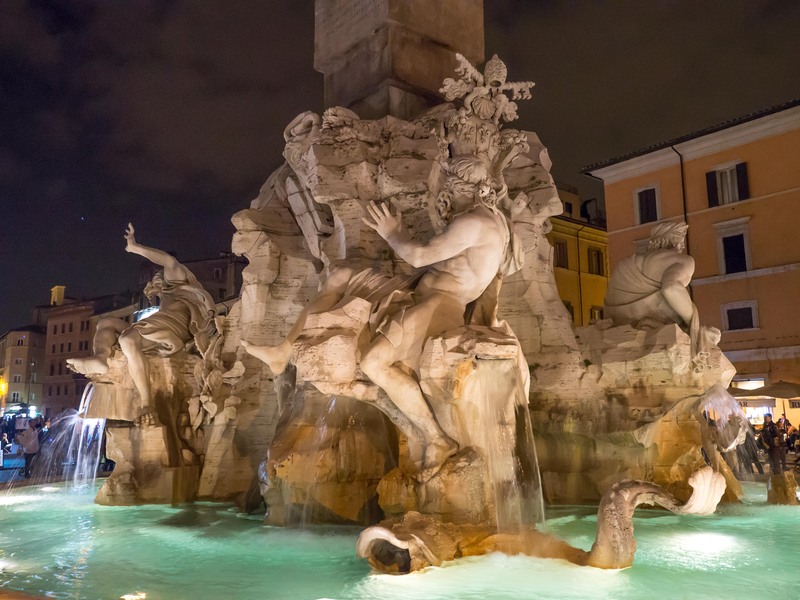 It is the home of several famous fountains including (my favorite) Bernini’s Fontana dei Quattro Fiumi, or Fountain of the Four Rivers, built between 1647 and 1651. The fountain glorifies the four major rivers of the Old World – The Nile, Ganges, Danube, and Rio Plata. This particular fountain is featured in Dan Brown’s 2000 thriller Angels and Demons, where it is highlighted as the fourth Altar of Science. But to me, the most fascinating part of Piazza Navona is what cannot be readily seen, unless you know exactly where to look. 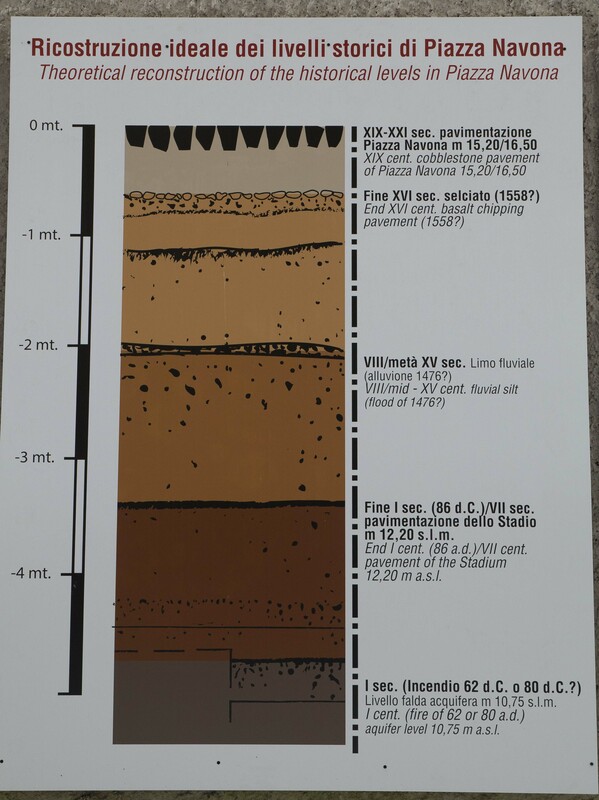 Hidden below the surface of the piazza are the remains of an enormous stadium having a seating capacity of 30,000 spectators. 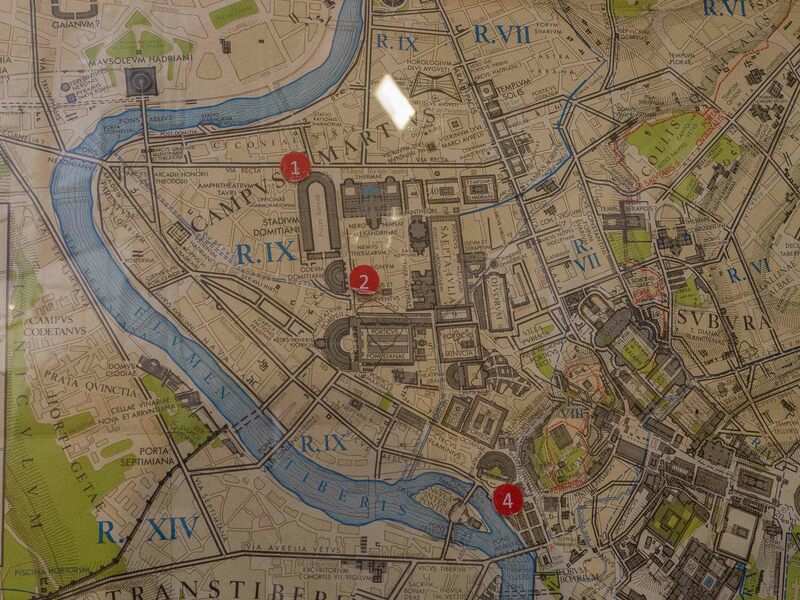 It was even larger in area than the Colosseum! 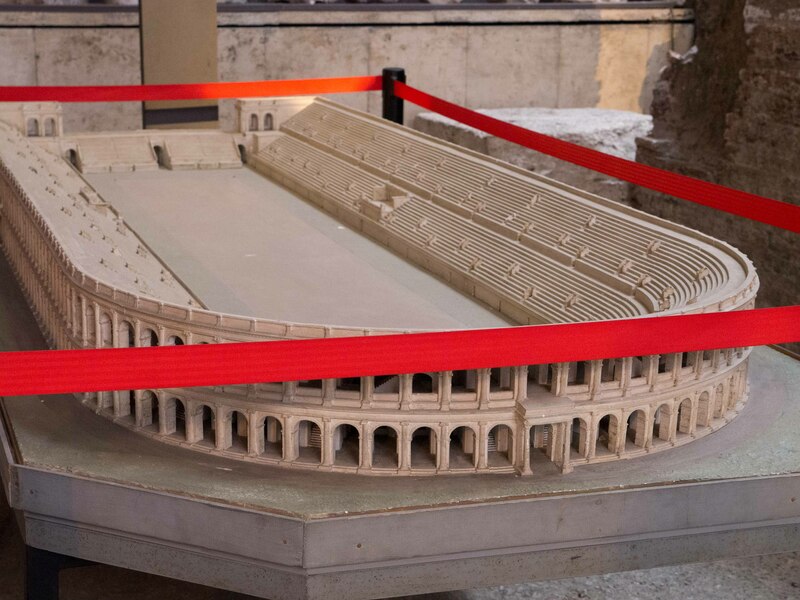 In 86 AD (right after Emperor Titus completed the Colosseum in 80 AD), Emperor Domitian built a new stadium to provide a venue for competitive athletics. 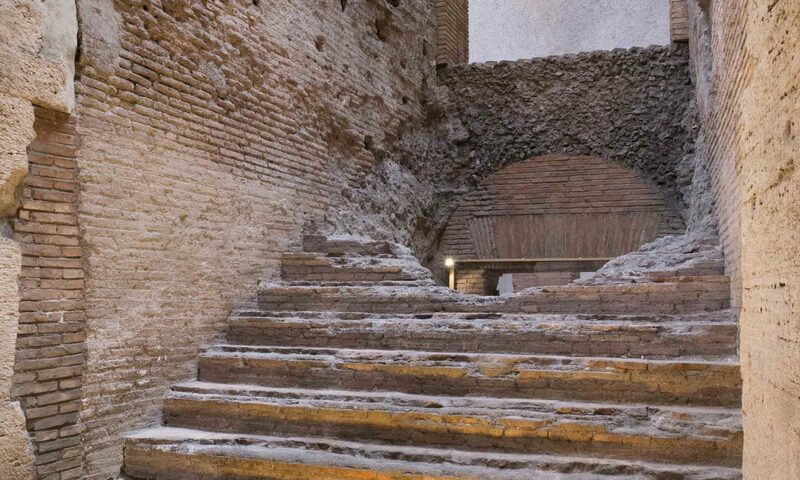 It was patterned after similar Greek stadiums and used brick and concrete for the first time in its construction. The ancient Romans went to the Stadium to watch the agones (games) when it was known as the Circus Agonalis (competition arena). 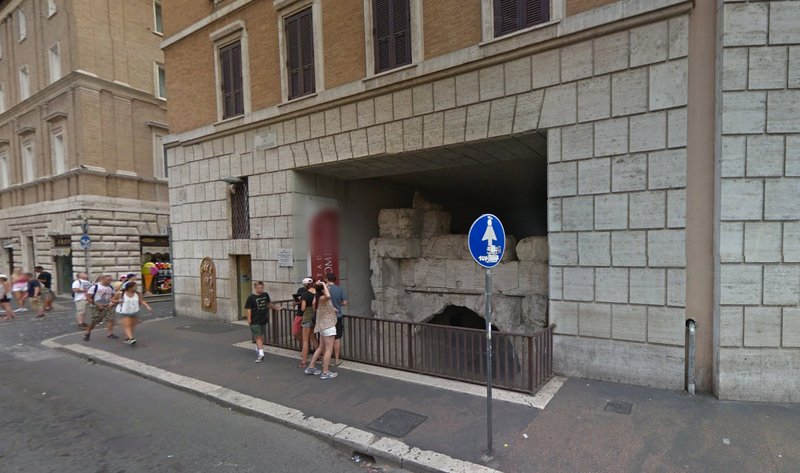 This name was gradually corrupted into in avone, then to navone, and eventually to navona, the current name of the piazza. The Stadium was eventually abandoned in the 4th century. 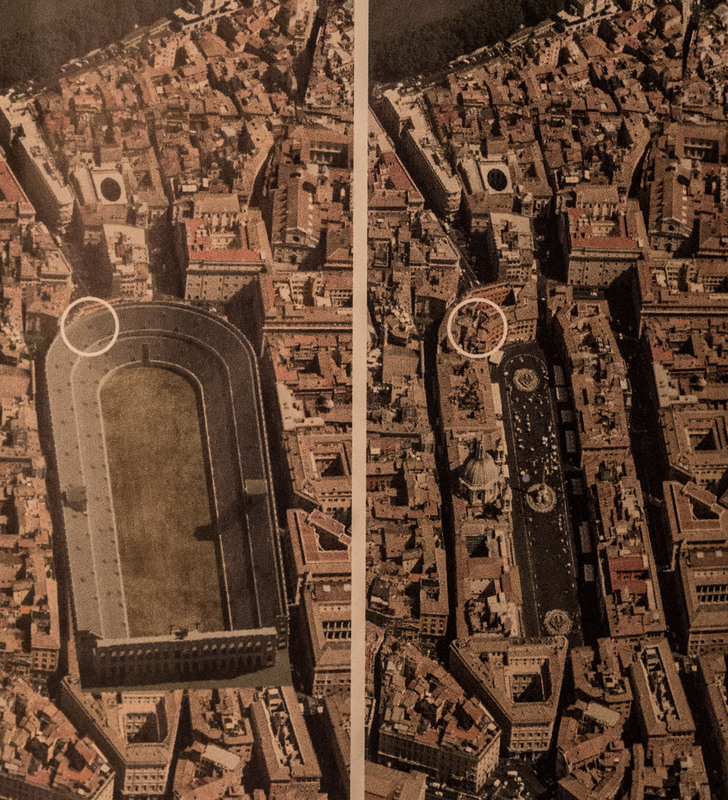 In 1477 Pope Sixtus IV relocated the city market to the stadium area and built over the seating area of the old stadium, keeping its original shape and transforming the arena into the present-day Piazza Navona. It turns out this is part of a newly-excavated area that you can now visit. 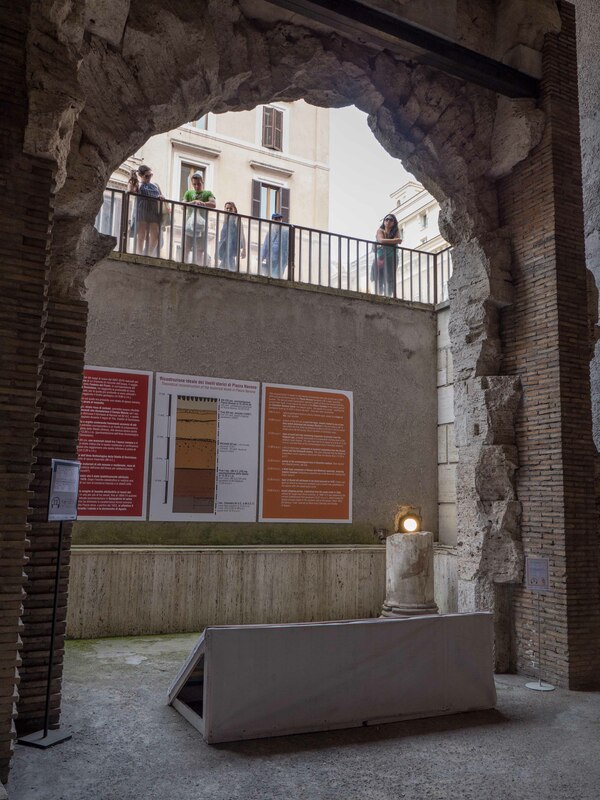 In 2014 the restoration of the archaeological area of the Stadium—now a Unesco World Heritage site— finally opened to the public. The entrance to the associated museum is just past this archway. 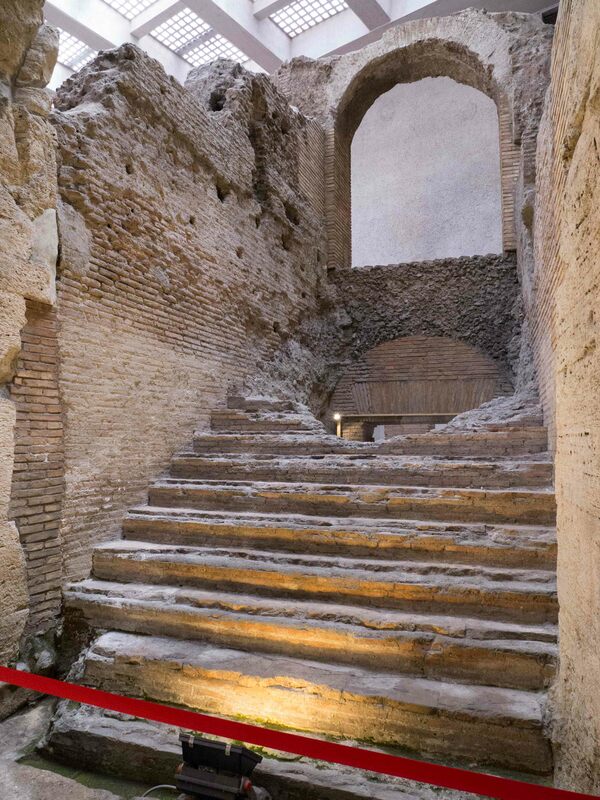 Here you can descend below street level and walk amongst the remains of the great Stadium built in 86 AD. 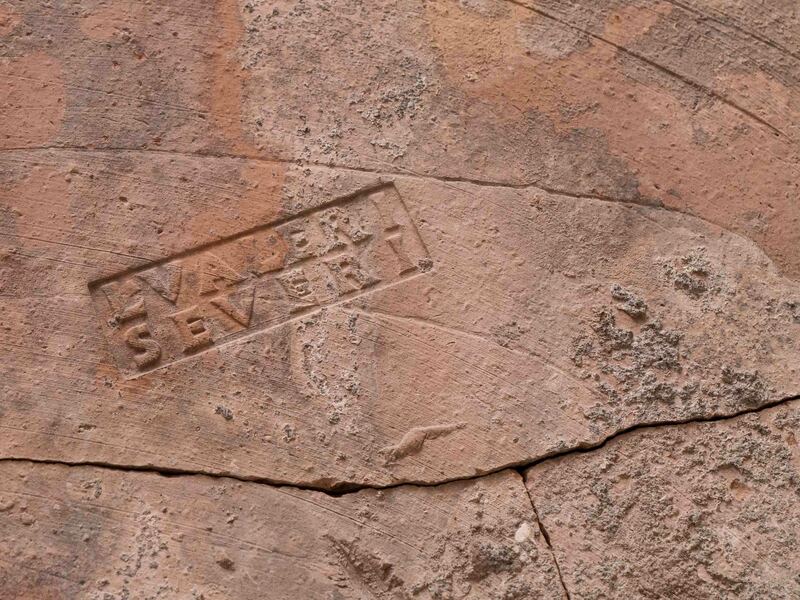 You can even see stamps from the original builders on the masonry! 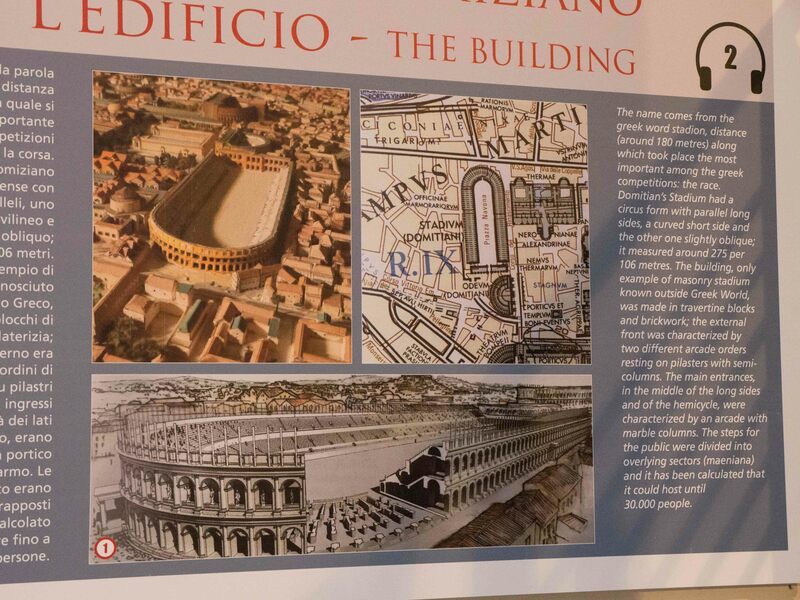 The museum has much information on the history of the stadium and has some models of its original design. 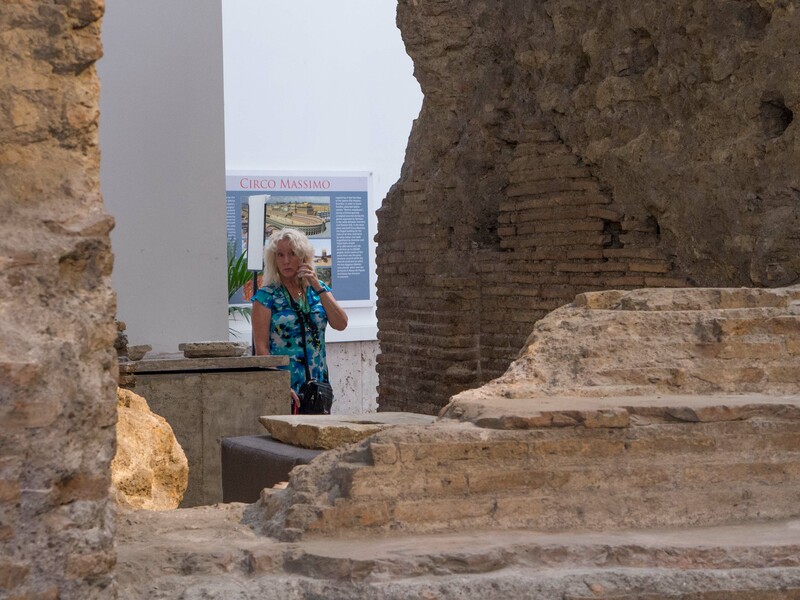 Be sure to visit the Stadio di Domiziano Museum the next time you’re in Rome!